Harry Potter and the Half-Blood Prince premiered at London's Leicester Square on July 7. Daniel Radcliffe and Rupert Grint, who play Harry and Ron respectively, got drenched as they made their way to the premiere. Grint, incidentally, has just recovered from a bout of swine flu. Emma Watson, who plays Hermione, looked gorgeous in a low-necked outfit. J K Rowling, author of the best-selling series, signed autographs for fans, who were waiting from the night before to catch a glimpse. Bonnie Wright, who plays the love of Harry's life Ginny, strikes a pose. All the actors had worn white ribbons in memory of cast member Rob Knox, who was stabbed to death last year. 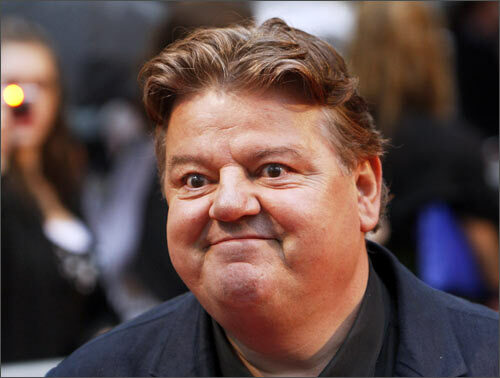 Robbie Coltrane, who plays the lovable Hagrid, gets into the spirit of things. Helena Bonham Carter, who plays the evil Bellatrix, arrives for the premiere. 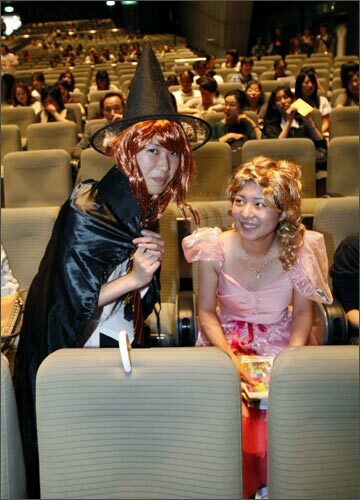 Meanwhile, fans all over the world are eagerly awaiting the film that opens on July 15. Ready for Harry Potter and the Half Blood Prince? How well do you know Harry?